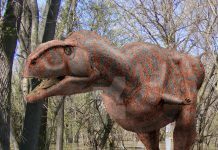 This dinosaur was approximately 40 to 50 feet long, 7 feet tall at the hips and probably weighed in the neighborhood of 5 to 5.5 tons. 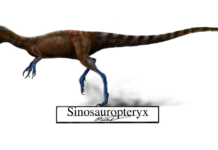 This dinosaur had a duck bill, an impressive bony crest on top of its skull and it was a bipedal herbivore that was probably capable of running at around 30 miles per hour. 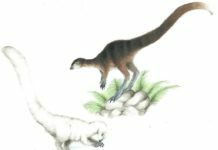 A speed it would have needed to achieve because of the many carnivores of the time. 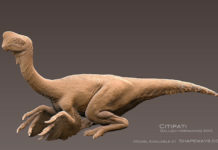 It was the first duck billed dinosaur to have been found in North America and many specimens of it have been found not in around Alberta, Canada but also in Montana, USA and in Baja California, Mexico. 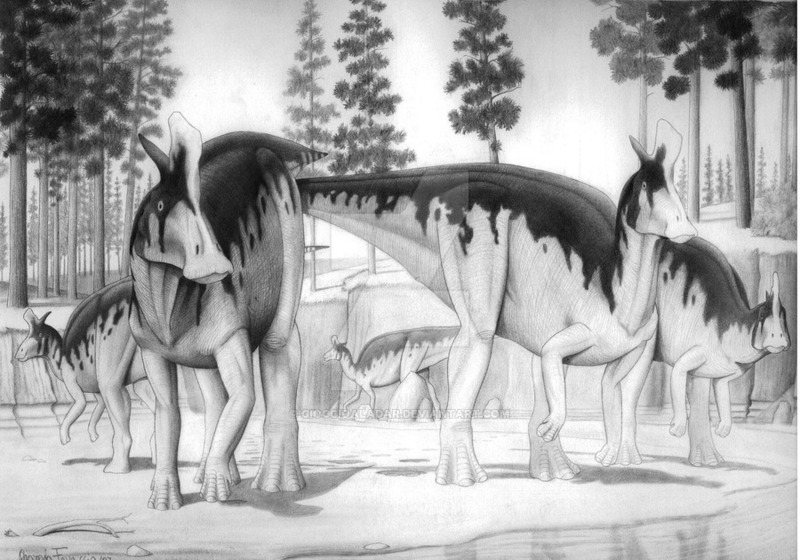 This dinosaur’s diet probably consisted of plant life that existed in these areas at that time. 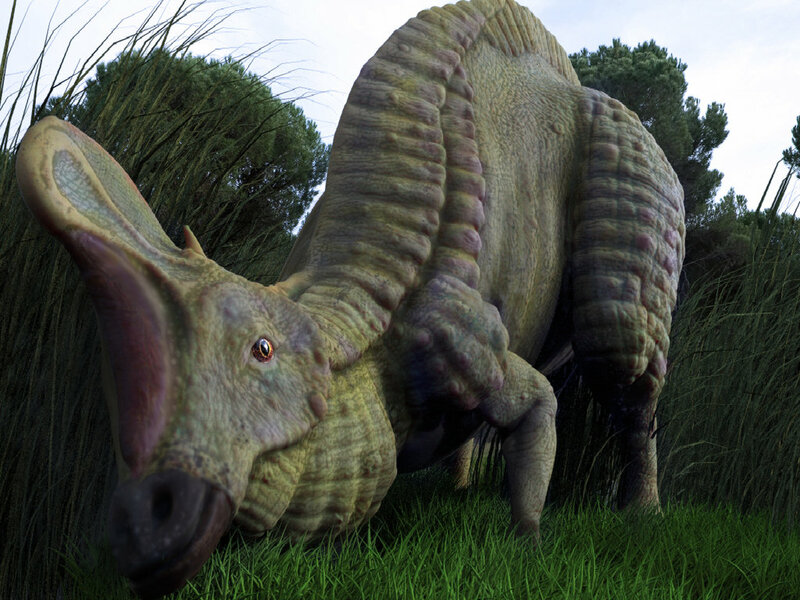 Plants such as conifers, gingkos and magnolias were probably the main staple of this dinosaur’s diet. 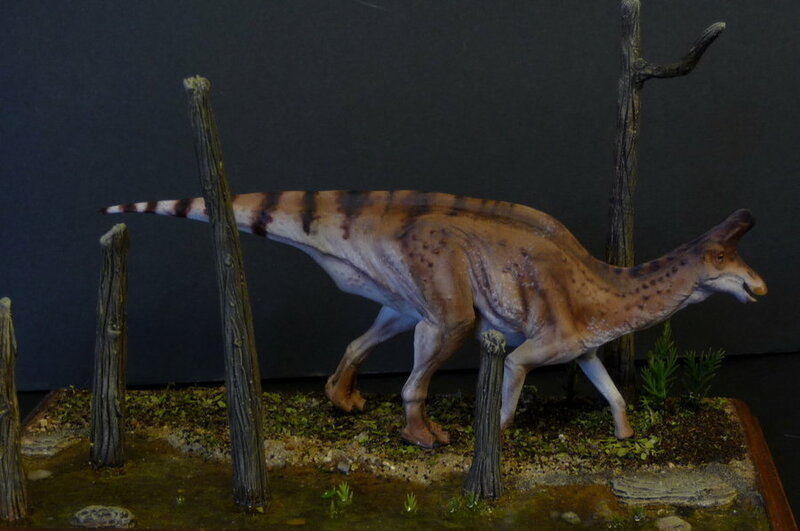 An interesting fact about Lambeosaurus was that its cranial crest was mainly hollow. 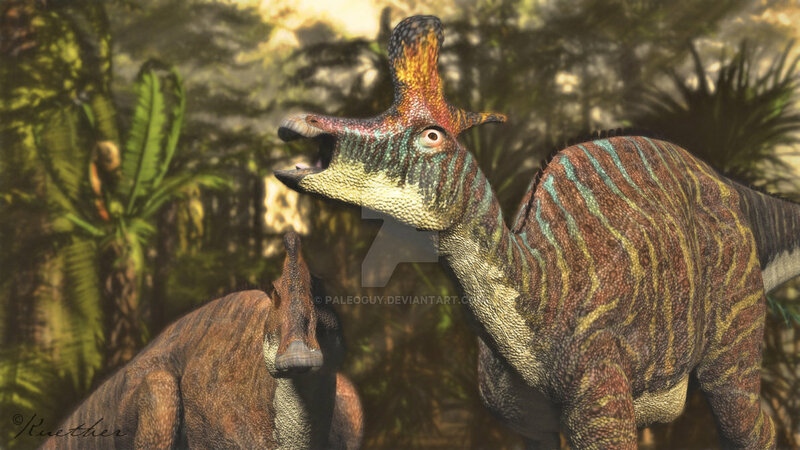 This has prompted many paleontologist to come up with reasons why this dinosaur had a hollow crest. 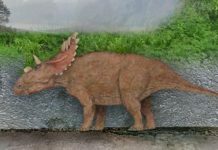 Some paleontologist have postulated that it housed the creature’s salt glands, some think that it enhanced this dinosaur’s sense of smell, and still others have postulated that it was used to trap air so the dinosaur could make sounds. Although none of these assertions have been proven, it does appear that the most widely accepted theory is that the crest was used to make sounds. 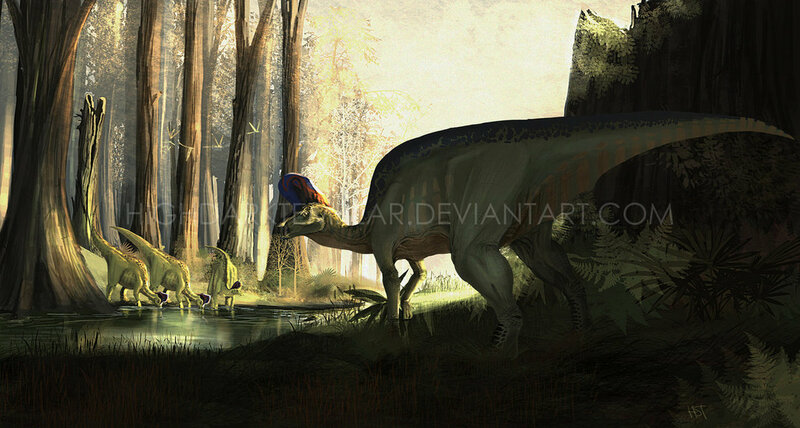 It is also believed that these dinosaur’s may have congregated in great herds. 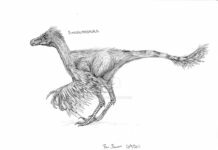 This would have given them some protection against predators and would have allowed them to protect the smaller members of their group more easily.